How does the 2 Seas team continue to sell foreign rights and maintain business as usual during its frequent travels to international book fairs & major publishing cities, with headquarters in California, a European office in Portugal, and team members that are based around the world? 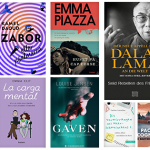 One of the reasons behind our success as a foreign rights agency are the personal connections that we have built and continue to nurture over the years with publishing professionals from all four corners of the world. 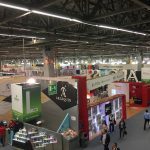 We travel several times per year to international book fairs and publishing cities, including two long trips to Europe around the Frankfurt and London Book Fairs. This means that we are not physically present at our headquarters in Ojai, California for over three months per year. Moreover, Junior Agent Chrysothemis who joined the team in the summer of 2015 is based in Porto, Portugal, and we frequently work with virtual interns who are based in places as varied as Edinburgh, Denver, Milan, Paris, São Paulo and New York. How do we manage this? We like keeping things simple and efficient—all it takes are the below cloud-based tools which we use 24/7—also when we aren’t traveling. Thanks to Xero, we can create and send digital invoices from anywhere, keep track of our cash flow, overdue payments, etc. Our Xero-certified accountant is based in New York and has access to our account. This enables them to reconcile expenses (Xero is connected to our bank & credit card accounts), establish expense reports, and pull P&L statements, balance sheets, etc. when necessary. It also has a handy Payroll integration, in case you have employees. An extremely simple and secure file sharing tool, which prevents our email account from exceeding its space limit every other day because we send about a gazillion PDF files by email every week. You only have to upload the PDF (or Word, or Excel,…) file once, you can organize your files in folders, and share them by sending the specific link that is attached to each file by email. We’re huge fans of Basecamp‘s CRM tool Highrise. Without it, our agency just wouldn’t be the same. Before launching 2 Seas, I had only used Excel spreadsheets to keep track of my contacts, submissions, etc., which is far from ideal even though many rights sellers continue to rely on Excel these days. I truly felt enlightened when I discovered Highrise. It enables you to store your contacts, email history, deals, business expense reports, and whatever else you might want to keep track of. Check out their wonderful tagging system (yes, I am a tagging geek)! We used to rely on Highrise to keep track of our submissions as well, but after 6 years we felt it was time for an upgrade (see E3/The Rights Manager below). We do continue to use Highrise for anything and everything else. Indispensable if you use more than one computer, which is very likely to be the case if you have a virtual office (I use a Mac desktop at the office and a MacBook Pro while traveling). 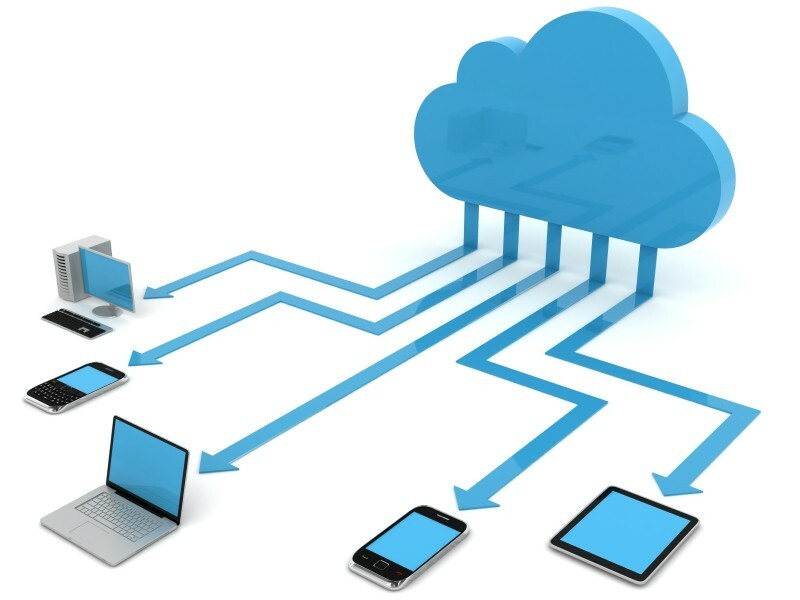 Dropbox enables you to create a backup of all your files on your local hard disk that, when you’re connected to the internet, constantly synchronizes with the Dropbox website, the other computer(s) you use, as well as your smart phone and tablet thanks to its app. We’re also big fans of Gmail (used as a basis for our 2 Seas addresses), Google Drive (great for sharing documents, spreadsheets, etc. with collaborators), Google Hangouts, and Google Voice, which lets you choose a number that you can connect to your Gmail account and cell phone. When a caller leaves a message, Google Voice sends you a transcript by email and a link to play the voice message. The transcripts in English are surprisingly accurate, however when it comes to French, Dutch and other languages, the service still has a lot to improve. As the agency grew in terms of sales, clients and staff it became clear that, while Highrise (see Customer Relationship Management above) is an amazing tool to keep track of your relationships (and relationships are such a big part of our job), it is far from ideal to keep track of submissions, contracts, royalty statements and other more specific elements of foreign rights selling. 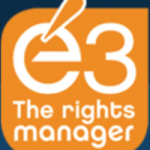 In July 2017 we migrated to a new, cloud-based software called E3-The Rights Manager*. Read more about our impressions here: Rights Management Database: An Essential Tool. Thanks to the iOS/Android app Tiny Scanner, we can scan documents, photos, receipts, contracts, basically anything we might need and want when we’re traveling (and also at the office). We use Skype to make nearly all of our international calls, and have a plan that gives us unlimited calls to European landlines. Rather than posting publishing-related articles, pictures, and events separately on our Facebook, Twitter, and LinkedIn accounts, we do it all in one gesture thanks to Hootsuite. It saves a lot of time, prevents us from falling down the rabbit hole of checking timelines and newsfeeds way too often, and also allows us to schedule posts ahead of time (which explains you’ll sometimes see a 2 Seas update when it’s 3 a.m. in California. We work a lot, but do appreciate a good night’s sleep). *Disclosure: The above link to The Rights Manager is an affiliate link, meaning, at no additional cost to you, we will be paid a commission if you click through and sign up for their rights management database.